In a bid to transform its poultry and piggery businesses into strong consumer brands, URC’s Agro-Industrial Group (AIG) launched Robina Farms as a premium supplier of pork meat and table eggs. Not only is Robina Farms the first homegrown agro-industrial producer with a fully-integrated animal rearing and meat processing facility, it is also the first to have a “no hormone, no antibiotic residue” policy. This shows our commitment to produce high-quality products, with consideration for the health and well-being of both our animals and our customers. Not only is Robina Farms the first homegrown agro-industrial producer with a fully-integrated animal rearing and meat processing facility, it is also the first to have a "no hormone, no antibiotic residue" policy. With our brand promise of “Robina-Raised,” we assure consumers that our meats and eggs have been produced through sustainable “farm to fork” practices. Animal rearing and meat production for Robina Farms is directly managed by URC’s AIG; this ensures that we have better control over the quality of the meats we produce compared to our competitors, most of which still outsource animal rearing or buy meats from meat dealers. Robina Farms upholds world-class animal rearing practices, which call for a more humane treatment of animals. For example, for our poultry division, we implement infrared beak trimming, a more humane way to prevent feather pecking and cannibalism among chickens, instead of the traditional manual hot-blade beak trimming, which causes acute and chronic pain among chickens. To further support our move toward sustainable animal rearing and meat production, URC’s AIG made significant investments to improve its internal capabilities and to fully integrate its farms with a slaughterhouse, a meat-cutting facility, and a cold storage plant. In 2016, all farms for both our piggery and poultry businesses secured a Good Animal Husbandry Practices (GAHP) certification from the Bureau of Agriculture and Fisheries Standards of the Department of Agriculture. A GAHP certification is awarded to farm operations that have met international standards of quality, and serves as a major requirement before allowing companies to export their products. Aside from a GAHP certification, the AIG Slaughterhouse and Meat Fabrication Facility has also secured Current Good Manufacturing Practices (cGMP) and Hazard Analysis and Critical Control Points (HACCP) certifications, both of which ensure that our products are of high quality and do not pose any health risk to consumers. In addition, our fully integrated facilities boast of an AAA slaughterhouse, an abattoir with the proper facilities, and operational procedures for export production. Through these investments, URC’s AIG ensures that Robina Farms is well-equipped to become a world-class consumer brand that upholds sustainable “farm to fork” practices. It is also through our investments in sustainable “farm to fork” practices that we ensure our products are not only humanely produced and affordably priced, but also fresh and safe for human consumption, thereby safeguarding the health and wellness of the Filipino family. Robina Farms carries the brand promise of “no hormone, no antibiotic residue” for both our poultry and piggery businesses. This means that we raise our hogs and chickens responsibly, without using hormones to speed up their growth. While we use antibiotics to treat and prevent diseases in the animals we raise, we test them for antibiotic residue prior to slaughter. We allow for a withdrawal period of seven to 14 days before animals are processed, during which time the animals are not administered any antibiotics to ensure that there will be no antibiotic residue left in the meat. Healthy animals mean that both our meat cuts and our table eggs are family-safe. We go to these great lengths to ensure that our products do not pose any health risk to our consumers. Several international studies have shown that hormone residues in food can increase the likelihood of breast cancer and other reproductive system cancer among women, and of prostate cancer among men. Antibiotic residue in food, on the other hand, can make humans more susceptible to new breeds of antibiotic-resistant bacteria. Thus, instead of resorting to the excessive use of hormones and antibiotics, Robina Farms ensures the health of its animals through high-quality feeds, sanitary living conditions, and world-class processes and practices. Through strategic marketing efforts, Robina Farms makes its high-quality products known and accessible to Filipino families nationwide. We have established the Agri Consumer Sales and Operations Group to focus on key markets that can be tapped to further enhance Robina Farms’ premium product positioning. URC’s AIG was successful in penetrating the Hotels, Restaurants, and Institutions (HRI) market, known for demanding high standards of quality from its suppliers. 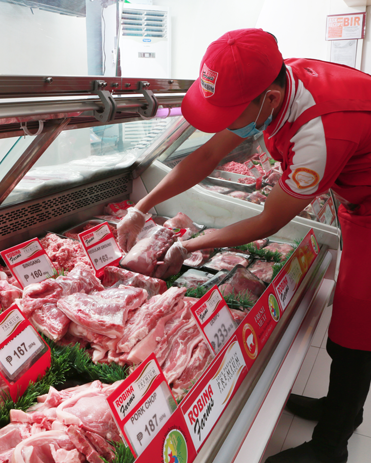 Robina Farms’ retail arm has also grown significantly, now with more than 60 pork meat and egg shops inside major supermarkets nationwide such as Metro Gaisano and Robinsons Supermarket, just to name a few. Through the continued growth of its retail operations in different locations, Robina Farms makes its quality meats and eggs within reach, ready to be enjoyed by Filipino families nationwide. We follow through on our promise of food safety and quality by maintaining internationally recognized standards of production. 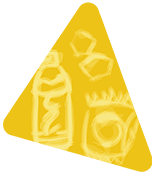 A culture of innovation allows us to respond to consumer trends, and also to imprint our central message of “life is fun” on the products we develop.